This is topic Farnworth Film Convention '19 in forum General Yak at 8mm Forum. 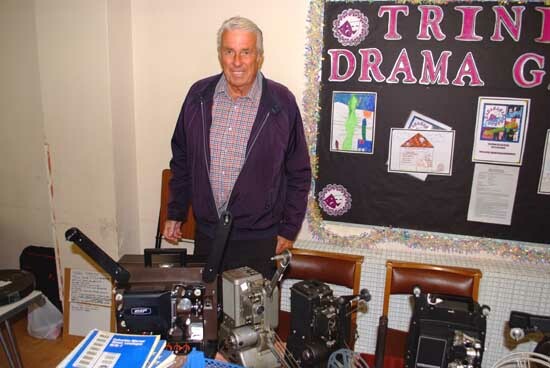 Does anybody know the date of the Farnworth film convention 2019? - and also possibly the correct contact who we can book a stall with. We seemed to have misplaced the leaflet that we were given at Blackpool. Hi Pete. Didn't make sunny Blackpool but Nigel tells me its on the 23rd Feb 2019. Come say hello. Thanks Lee, we're looking forward to it. Thank you Paul. Hope to see you there. Hi can someone inbox me the details please i spoke to nigel briefly at davids open day but have heard no more from him . I have to agree with you Dom. What's wrong with posting the full details, instead of secret pm's? It's an event that all of us would wish to be reminded of I'm sure. no secret event at all. i assume you are wanting to attend Terry so here are the details from the flyer given out at blackpool. 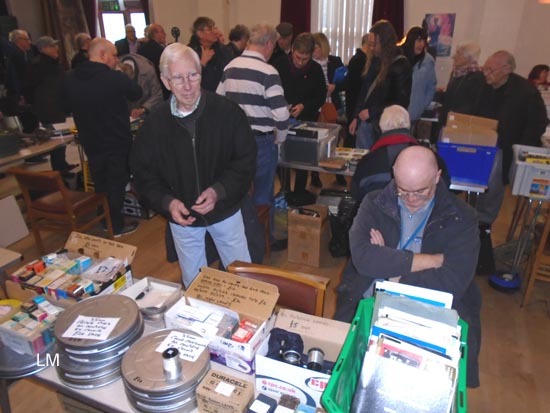 farnworth film fair will be held on saturday february 23 2019.doors open 11am. venue. trinity church. market street.farnworth.BL48EX. 5 minute walk from train station and just off motorway.excellent refreshments available.admission just £4. stall enquiries Nigel on 07518766717. or email info@clixportfolio.com. this event has been going for years. and held roughly the same time each year.a great little event and well worth attending. Thanks for the info on Farnworth though. Stupidly I thought it was in the South! 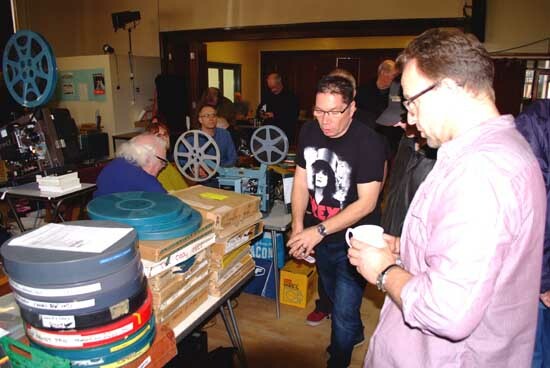 I've added the Farnworth Film Fair to the Upcoming Film Conventions & Events list. 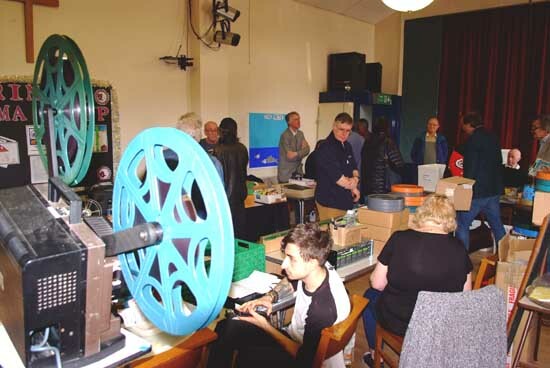 Farnworth Film Fun Day is a small but very friendly event which has been held near Bolton UK for many years formerly by EFS a long established cine business which closed when Denis Parkinson passed. His son Nigel has kept it going and doing a great job as well. If anyone arrives early looking for breakfast you will find cafes outside the church front which is handy. You will find a bus service that stops near the Church also train stations. Bus out of Manchester is the X39 takes about an hour. Train out of Manchester Victoria takes about 16 minutes but be aware many trains are being cancelled at weekends. Trains from Manchester Piccadilly to Farnworth take around 30 minutes when running. Come along if you can and enjoy a great event,hot food made by the ladies of the Church and also the legendary auction. It's easy to confuse the name Farnworth with Farnham, a town 35 miles south-west of London in Surrey. I still haven't had any response back from Nigel in purchasing a stall for the day and I'm now getting a little worried!! The first email address that I was given bounced back and I haven't had any response back from the second one that I found on the internet. I didn't really want to phone him directly, does anybody have a second email address - Or could Nigel actually be reading this thread, perhaps? I've just had another email bounce back. I'd really like to get a stall at Farnworth but time is running out. Brilliant - the number works! only 1 week away from this great event.saturday 23rd february. lots of films for sale.equipment etc. excellent refreshments. doors open 11am. 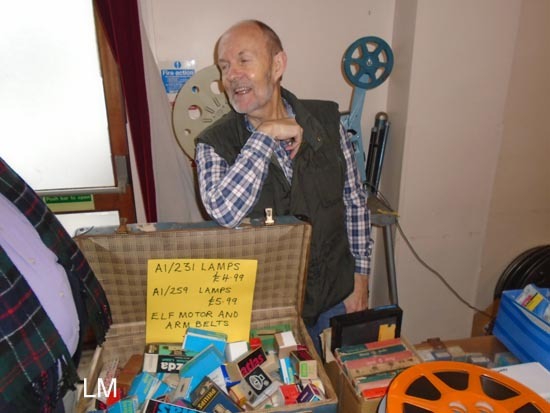 only £4 admission.FARNWORTH FILM COLLECTORS FAIR. TRINITY CHURCH. MARKET STREET FARNWORTH.BL48EX. 5 min walk from train station. and just off motorway. Always been a very friendly gathering and you tend to see many old faces that are not agile enough to travel very far but still enjoying the hobby. Its nice to see everyone again and catch up. This event will be too good to miss i will be there.selling super 8mm films from just £1 and 16mm features from just £40.youll need to be there for these bargains i also have some top titles only to be known on the day.hope to see you all there. don't forget to PM a list for 16mm if you can ? how many now are just counting the hours!! Come buy something off me some of my stock I'm selling for Macmillan Cancer Support. 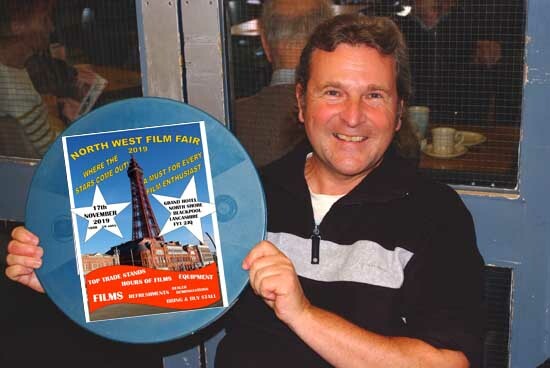 at the farnworth film fair tomorrow we will have available to buy the David Guest released DVD of the BLACKPOOL FILM FAIR 2018. this is a first rate professional made DVD. i watched mine 6 times within a week. i know David was very proud of it. for those who attend on the day it will be available to purchase at just £5.00. thats a 50% reduction. and its worth every penny. see you all there. what a most enjoyable day at Farnworh yesterday. and what weather. a good turnout for this excellent event. some great films for sale too. i bought 3 16mm features. Follow a Star Norman Wisdom. The Guinea Pig Richard Attenborough. and The Man Who Could Work Miracles 1936.all b/w. just missed out on George Formbys Come On George feature. there were more modern titles inc Speed. Dances With Wolves.and Magnificent Men In Their Flying Mchines all with fabulous colour. plenty of 8mm there too. and people went away with some great bargains in the auction. thank you Nigel once again for continueing this event. 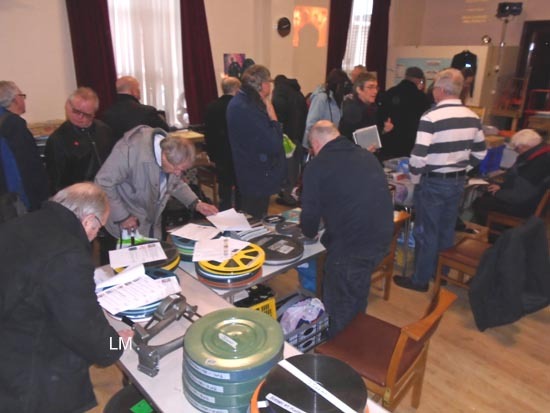 Like paul said what a great day.lots of good films and equipment on sale and fun to be had by all.long may these events continue .if you wasnt there you missed a real good film fair please help suport events like this so we can carry on for many years to come .looking forward to blackpool . Great turnout and nice to chat to everyone all day about film. Many thanks to Nigel and his good lady for all the hard work also Richard Read for his heart felt speech on our collective love of film. Took lots of pictures but heres one for a start more will follow. I got some nice Derann Scope films to bolster the collection along with a Hammer filmed in 2 Perf Techniscope. Thank you to all who purchased film from me for my fund raising effort to aid MacMillan Cancer Support we raised £50. My latest brain wave to offer 8mm on the spot projector repairs proved interesting fixing one Eumig and located a fault on a Elmo GS1200. Think I'll do the same drop in centre at sunny Blackpool. Another great event, with plenty to buy. Professionally organised and the catering from the church is amazingly good. I filmed around a minute of the event on Super 8...we hope to show this at Blackpool this year. What sort of filters or/and setting`s do you use for the indoor filming Simon ? Have you had any other indoor processed on the kodak yet ? thank you for posting the pictures Lee. did you have any more. 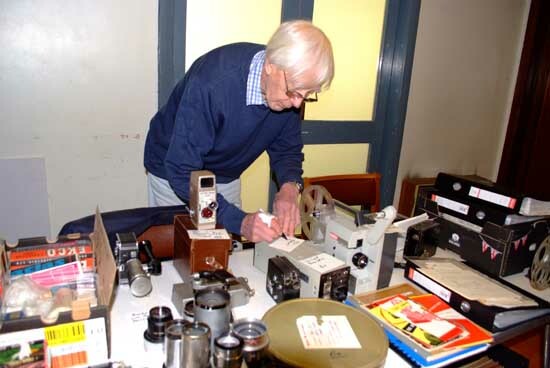 and well done Simon McConway for filming on super 8mm. i shall look forward to you screening it at Blackpool. lets not forget all those who made a long journey to be there. Simon McConway. Simon Balderston David Watson Bob Nicholls Rob Foxon Tony Hutchinson Graham Burett Nigel Higgins Lee Mannering and many more. its the likes of yourselves that make it a success. Thank you Paul. Also hoping to show footage taken last year at Blackpool (by kind permission of Elaine Guest) as a tribute to our friend David. Mark, in answer to your questions, I simply use an XL camera inside, and Wittner's 200 asa film; this always comes out well in lower light. XL = the size of the aperture for the uninitiated usually a cinema camera with less lens elements as well. It will be the clarity of the Fuji S5 Pro camera now 12 years old with that magic chip. The old fuji reps used to follow me around dishing out 35mm stock when I eventually gave in getting the S5 for work. Still love that camera body with its film emulation settings. The projector in the picture is mine its realy nice just some dust on the top as rarely used just for conventions.main part of the machine is clean. Thanks for those pictures. 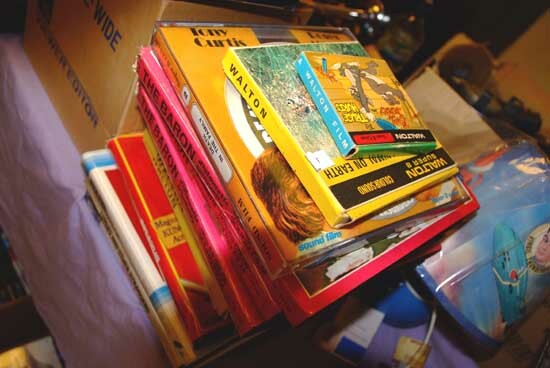 It's great to see the efforts of people to keep the hobby alive ! I wouldn't worry about it Nigel I still have my stage makeup box from nearly 50 years ago some it is nearly growing moss! Nice to hear so many loving Farnworth had a couple of phone calls today asking about Blackpool. Exciting times for any REEL film lover. It's time for one of my Criswell Predicts moments.